Several hundred visitors converged on Camp Moshava Sunday afternoon and, despite a brief downpour of rain, enjoyed a day of fun activities and visiting with their campers. They also enjoyed hearing about Camp Moshava’s plans for its next two major capital improvements: a new gymnasium and a new swimming pool. Seed funds have enabled the camp to move substantially forward on the gym project; the groundbreaking is planned for this month, with a goal of having the gym ready for Summer 2005. The pool is planned for Summer 2006 pending sufficient fundraising. To date, the capital campaign, which has been in the works for several years, has raised more than $500,000 in pledges, more than 60 percent of which has been collected. For the gym to be finished and the new pool to be built, the camp has established a goal of $1 million overall. The 75’ x 120’ air-conditioned gym will feature two smaller basketball courts and one full-size court; a multi-purpose room for shiurim, programs, and general use; boys’ and girls’ bathrooms; and a lower level storage/emergency shelter. In addition to the benefiting the general camp program, this facility will also be invaluable on rainy and extremely hot days. We look forward to the gymnasium’s targeted construction completion date of June 1, 2005. The current pool, built in 1964, is 1600 square feet; the goal for the new pool is a 3400 square foot, non-rectangular pool, which would enable multiple activities (lessons, games, laps, etc.) to take place simultaneously. The pool would feature several different components, with some designated for recreations free swim, lap swim, lessons, and games. With significantly more space, the new pool would alleviate the stress on the current pool’s limited resources.  Do you share our vision for Camp Moshava’s future? To complete the Gym, and to build the planned Swimming Pool, Camp Moshava needs more donors to join our Board of Trustees.